It's time for my very first Ryview! 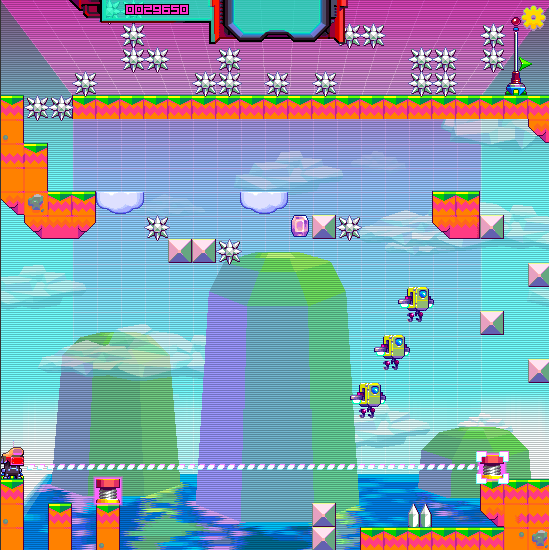 Ryview #1 will be Changetype(), a flash puzzle platformer by Nitrome! 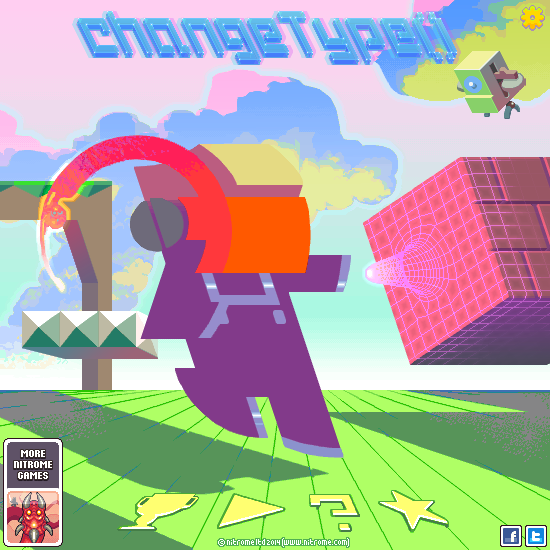 ChangeType() is a platformer with a novel concept. Your goal is to reach a flag at the end of the level (un-novel) but to get there, you must switch out the properties of two pieces in the environment. Early in the game, this predominantly means switching blocks with spikes. Basically, the spikes become blocks (but they remain looking like spikes). There are tutorial videos that play on the side of the level of well. It's a nice cute way to show you how to play the game without interrupting your experience, and honestly it's still pretty in your face (which in this case, is a good thing. I could play the game and I was pretty forced to watch the little tutorial at the same time, very effective). And those tutorials are quite helpful. The levels are not particularly easy. They have a bit of a steep learning curve, but it's extraordinarily rewarding. The problem solving level of this platformer is through the roof! Now, the mechanics don't change throughout the game, so my first impression was that it would grow stale. 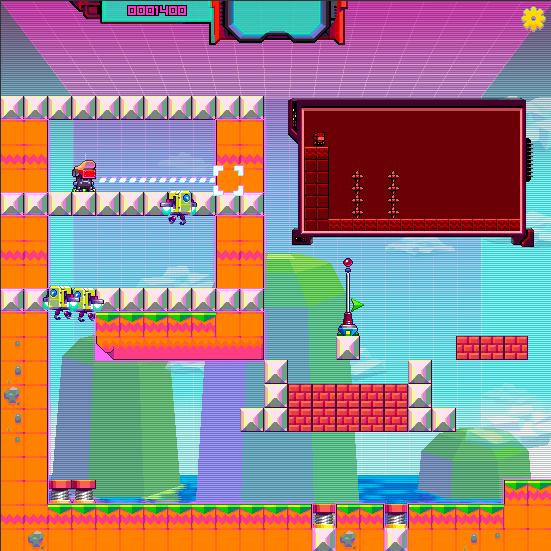 Due to the introduction of new item types (clouds, blocks, coins, etc) the puzzles stay fresh. The simple mechanic takes you through a wide range of complicate maneuvers. Honestly, while I got frustrated trying to get through some of the levels because I had absolutely no idea how to beat it, I was floored by how complex the puzzles were. Also, the puzzles rely more on problem solving than precision button pressing. I am in no way a fan of games that require higher dexterity and precision than problem solving. Another nice replayability factor is that there is a high score you receive after each level. And as a function of the game, you could essentially turn ever item type into a coin if a coin exists on the map. So, gamers who like to constantly 1-up themselves, this is a game for you. So, my ryview score is a whopping 9.6! Please let me know how you like ChangeType()!